Hip fractures are most common when bones are weak. Patricia Kelikani, Health Journalist (Co-host): Many of us know of someone who suffered from a hip fracture and unfortunately, most who survive a hip fracture never regain their full level of mobility. Dr. Mark Reeves, Surgical Oncologist (Co-host): Hip fractures are most common when bones are weak, and while the risk increases over the age of 65, we should start strengthening our bones today. KELIKANI: As we get older, our bones naturally lose some of their strength and become easier to break, even from a minor fall. Weak bones can be caused by lack of exercise, smoking, calcium deficiency, and vitamin C and vitamin D deficiency. Women are also more likely to experience fractures than men. DR. REEVES: Researchers at Loma Linda University Health studied the diets of 96,000 people to discover how to reduce the risk of hip fracture. Dr. Synnove Knutsen, Professor of Preventive Medicine: Those who ate legumes at least five times a week or more, they had only about half the hip fracture risk as those who rarely ate legumes. KELIKANI: Legumes are a class of food including beans, peas, and lentils. They’re very high in protein and can even replace other sources of proteins in our diet, like meat. So what’s the simple tip for today? DR. REEVES: Add half a cup of cooked beans to our diet five times a week. DR. REEVES: or for an even higher benefit, substituting beans for cheese or meat. KELIKANI: Adding legumes is a cost effective and simple way we can probably lower our risk of hip fractures now and in the future. There’s your tip for the day on how you can live healthier, longer. Dr. Synnove Knutsen received her MD from the University of Oslo, Norway in 1972. She received the MPH in Epidemiology from Loma Linda University School of Public Health in 1977 and the PhD in Epidemiology/Preventive Medicine in 1990 from the University of Tromso, Norway. She was a Public Health officer in Norway for several years and later a professor at the University of Tromso, Norway where she taught Family Medicine and Epidemiology and did research using data from the Tromso Health Study cohort. Knutsen spent a one year sabbatical working with the Honolulu Heart Study and the Hawaii part of the INTERSALT study in Hawaii from 1984-85 and a second sabbatical working with the Adventist Health Study in 1991. She was recruited to the position of Chair of the Department of Epidemiology and Biostatistics at LLU School of Public Health in 1992, a position she held until 2013. Knutsen is currently a professor of Epidemiology and a co-investigator on the Adventist Health Study-2 and involved in several funded research projects. 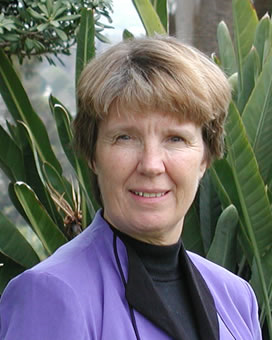 She has served on numerous doctoral committees both at LLU and in Norway. Her research interests include lifestyle and chronic disease (cardiovascular disease, cancer and bone health), epigenetics, lifestyle and use of health services as well as more clinical studies.